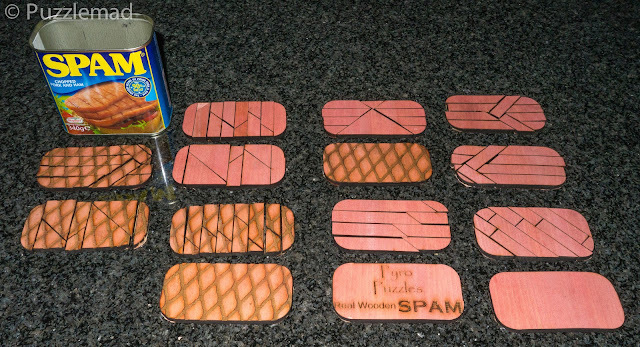 Puzzlemad New Additions: I've Been Spammed! 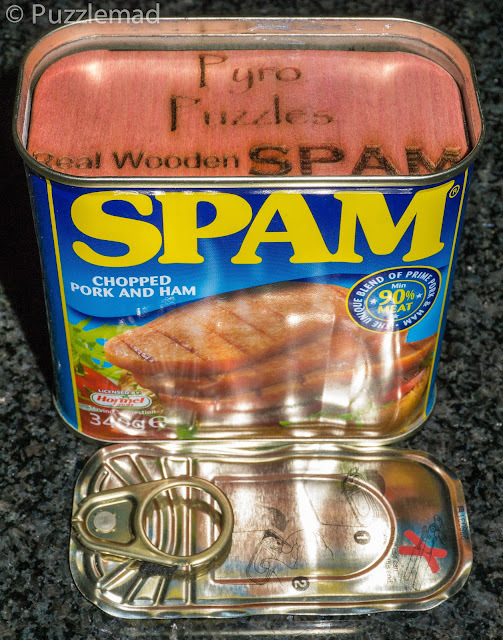 Steve Miller of Pyro puzzles sent me some puzzling spam last week. I thought it was just a joke referring to the way I show off my new puzzles on the Puzzle Photography facebook group. Every time I upload photos there I tell everyone that I am spamming them (after a little disagreement with a former member). When I opened the box I was surprised to see that it really was spam! On opening the tin, it proved to really be spam inside although judging from the smell a bit laser burned! 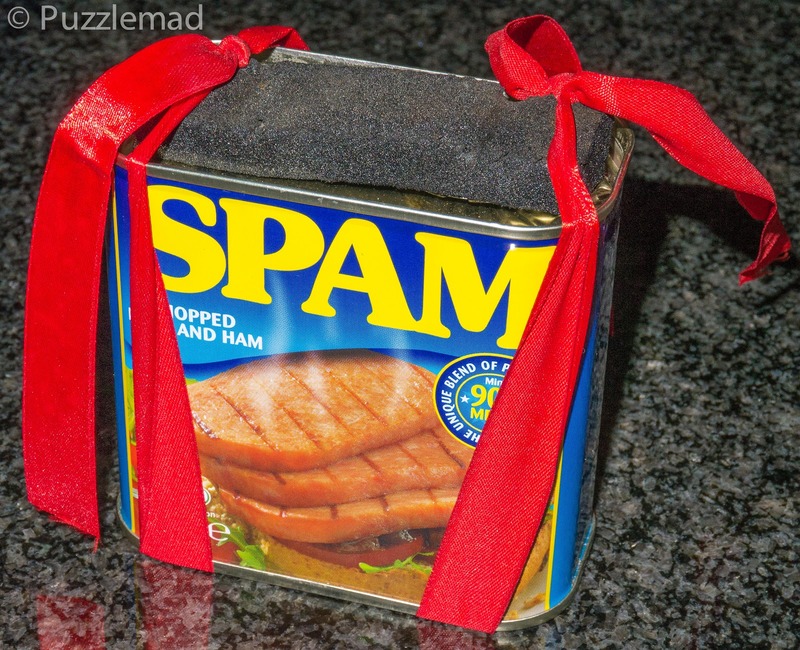 He says it really is spam! Holy Spam! There's actually a layer still left in the bottom of the tin! Imagine having all those pieces mixed up in a heap! Nightmare! Thanks Steve! It did actually take me quite some time to put them back in the tin! I had to use a pair of surgical fine toothed forceps to do it!